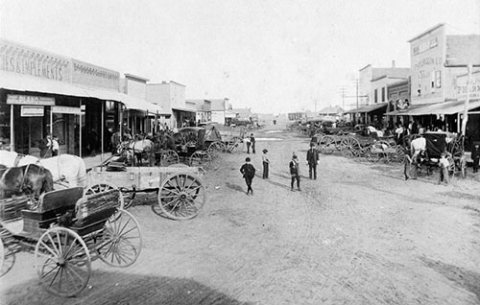 The first settlers arrived in the Plano area in the early 1840’s (1). Most of them came from Kentucky and Tennessee. The Peters Colony office was located in Louisville, Kentucky, where there was an active advertising promotion extolling the Texas climate and soil (2). Plano developed on the Peters colony head-rights of Sanford Beck and Joseph Klepper (or Clepper) issued in 1850. Klepper’s land was primarily on the west side of Main Street (known today as K Avenue) (3). This tract of land that the building sits on (510 Mechanic Street, now known as 1017 E. 15th Street) was part of the Klepper 640 acre survey, Abstract Number 213, in Collin County, Texas and being Lot 9, in Block 4 of Old Donation, Plano, Collin County, Texas (4). There was a fire in 1881 that destroyed the town’s entire business district. In 1884, Fred Schimelpfenig made an agreement with Alex Sanger to buy his lot and build a brick building on it. Mr. Schimelpfenig opened a dry goods store in December of 1886 and became the most prosperous store in Plano. It held that distinction until it was burned out again in 1895 (5). After the fire the building was bought and occupied by J.H. Gulledge. He developed a large trade and his dry goods business flourished. He remained a prominent business leader in the early development of Plano. In 1918, he sold his business to Thompson & Hudson (6). The building has housed many businesses which played a large role in the development and success of Plano. Cotton Belt, soon followed. The railroad contributed a large part to the success of local agriculture and regional prosperity as the population grew to 500 (7). The width of the property is 40 feet and the depth is 177-1/2 feet and the building sitting on it is described as a one story brick mercantile building (8). The building itself remains the same as it originally was at 40 feet wide and 140 feet deep. Prior to 1947 when street names were changed, the address of the building was 510 Mechanic Street. It is now known as 1017 E. 15th Street (9). Businesses that operated inside this building were Mr. Schimelpfenig’s dry goods business from 1886 until the fire of 1895. In 1896, J.H. Gulledge bought the building and also ran a dry goods business until 1918. He then sold his business to Thompson and Hudson. The building remained in the Gulledge family for 50 years until it was sold by Mr. Gulledge’s widow to Westway Sportswear in 1946 (10). The Plano City Directory lists Westway Sportswear as the occupant of the property in 1948 (11). Westway Sportswear was part of Lorch Manufacturing which was the oldest privately owned women’s apparel company in the United States. They produced inexpensive cotton dresses and more stylish garments. During World War II, the Lorch Company devoted much of its production to the making of Army Nurse Uniforms (12). Westway Sportswear sold the building in October of 1954 to James L. Clarkson, Jr. (13). James L. Clarkson, Jr., president of Plano Furniture, sold to W.B. Goode in January of 1958 (14). Subsequent businesses included Plano Furniture, and a furniture/appliance store owned by the Mitchell family. In the eighties it was a craft coop which transitioned into a one owner upscale gift shop named Nooks ‘N Krannies. Several tea rooms have been located in the rear of the building, including the Blue Onion, Quaint Cuisine, Two Sisters and Mrs. Tuttle’s Tea Room. Into My Garden Tea Room remains there today. Acquiring copies of deeds from the County Clerks Office in Collin County, Texas, shows ownership from 1896 to current day. Sanger Brothers sold to J.H. Gulledge on August 24, 1896 (15). After 50 years of ownership, Mrs. L.O. Gulledge, widow of J.H. Gulledge, sold to Westway Sportswear on October 4, 1946 (16). Westway Sportswear sold to James L. Clarkson, Jr. on October 11, 1954 (17). James L. Clarkson, Jr. who was President of Plano Furniture, sold to W.B. Goode on January 8, 1958 (18). Information found on this deed record showed property included two washed air units, one water cooler (electric), four circulating fans and two overhead automatic gas heaters. Most of this is still housed inside the building. W.B. Goode sold to Alvin R. and Clyde Mitchell on April 1, 1963 (19). Five years later, Alvin R. Mitchell sold his half to Clyde and Joyce Mitchell on January 31, 1968 (20). They then sold it to Franklin W. and Joann M. Neal on November 1, 1982 (21). The Neals then sold to R. Michael and Mary Jo Montgomery on June 27, 2000 and they remain the current owners (22). Joseph Klepper was one of the original colonists. He came to Plano from Illinois in 1848. As a married man he was given 640 acres of land. Klepper’s land was one of the two original surveys of old Plano (The Sanford Beck survey was the other one) (23). This land was west of Main Street (now known as K Avenue). He chose to settle near Spring Creek in Plano to be near a water source. If given the land, one was expected to live on the land at least three years, build a good comfortable cabin, and fence and cultivate at least 15 acres (24). Joseph Klepper made an agreement to sell the north 220 acres of his 640 acre tract to Joseph Forman in 1851 which was completed on August 21, 1854. Klepper continued to sell off land into lots which in turn became businesses and homes. Joseph Klepper was instrumental in the development of the business district for downtown Plano in the early years. The right of way through Plano was donated or sold by several public-spirited citizens foremost among whom were Joseph and Nancy Klepper who donated 18 acres of their land to the Houston and Texas Central railroad (25). Joseph and his wife are both buried in the Old City Cemetery which is on land that he and his wife deeded to the Methodist Church. The Sanger brothers, Isaac, Alex and Philip, purchased the land that the building sits on from Frederick Schimelpfenig in 1884. The Sanger brothers built the brick building for the Schimelpfenig store that opened in December of 1886 (26). The Sanger brothers would later be known for Sanger Department Stores. They opened their first store in McKinney in 1857 (27). Sanger Brothers stores were in business in Plano as well as other area towns for well over 100 years. of the Plano Methodist Church for 48 years and choir director for nearly 50 years. His wife, Louise, was prominent in her own right, serving as the president of the Collin County Women’s Christian Temperance union. She was highly influential in ridding the town and county of liquor. Following the fire of 1895 which destroyed 51 businesses in the downtown business district, Schimelpfenig then became the manager of G.W. Owens Lumber Company for the next 18 years. In 1914, he became the manager of J.T. Elliott Lumber Company, which succeeded Owens. Many of their descendants still reside in Plano. Schimelpfenig Middle School is named for Frederick Schimelpfenig and the L.E.R. Schimelpfenig Library is named for Louise Ernestine Rammers Schimelpfenig, his wife. J.H. Gulledge was born in Chesterfield County, South Carolina in November 1857. After losing everything in the Civil War, he settled in Lewisville, Texas. He moved to Plano in 1882 and opened a dry goods store with Adison E. Graham. By 1884, the store became known as Graham & Gulledge. After the fire of 1895, the partnership was dissolved and the J.H. Gulledge store was relocated to where the Schimelpfenig store had been (510 Mechanic Street, now 1017 E. 15th Street). He operated the store until he sold the business to Thompson and Hudson in 1918. Mr. Gulledge was president of the Plano National Bank from 1921 to 1931 (30). The Gulledge family continued to own the property until 1946. 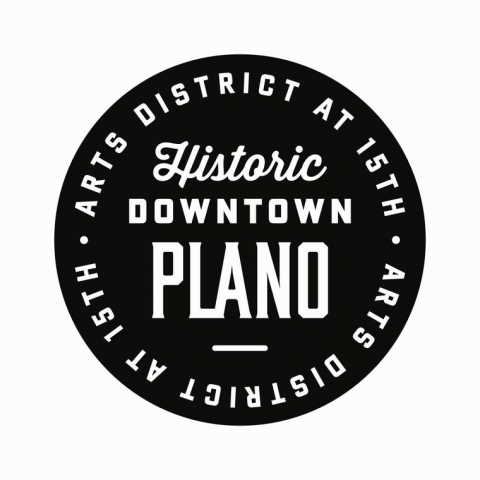 Please visit https://www.plano.gov/1797/City-of-Plano-History to find out more information!